Looking for a quick way to energize your style? Try slipping on eye-catching pieces like this dainty ear cuff. It gives off a subtle, yet edgy vibe. You can pair them with just about any outfit to add instant interest. Keep the rest of your jewelry simple. No statement necklaces or over-the-top bracelets or rings. This is a great time to experiment with your hairstyle. Try pulling your hair into a sleek ponytail, or do an off-center part. Whichever style you choose, make sure it shows off those jewels! If you are interested in the ear cuff trend, I recommend starting out slowly by wearing a smaller piece, like the one pictured here by Aaraa Accessories. When you first put the ear cuff on it will sort of feel like you are wearing a bluetooth headset. Remember those days? It takes a few hours to get used to, just like breaking in a new pair of shoes! 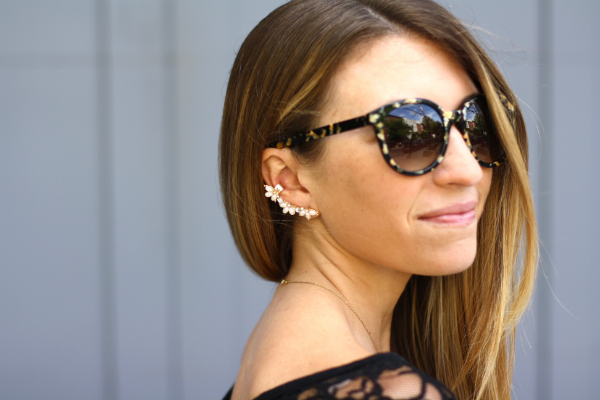 So what do you think of the ear cuff trend? Are you going to give it a try this season? P.S. 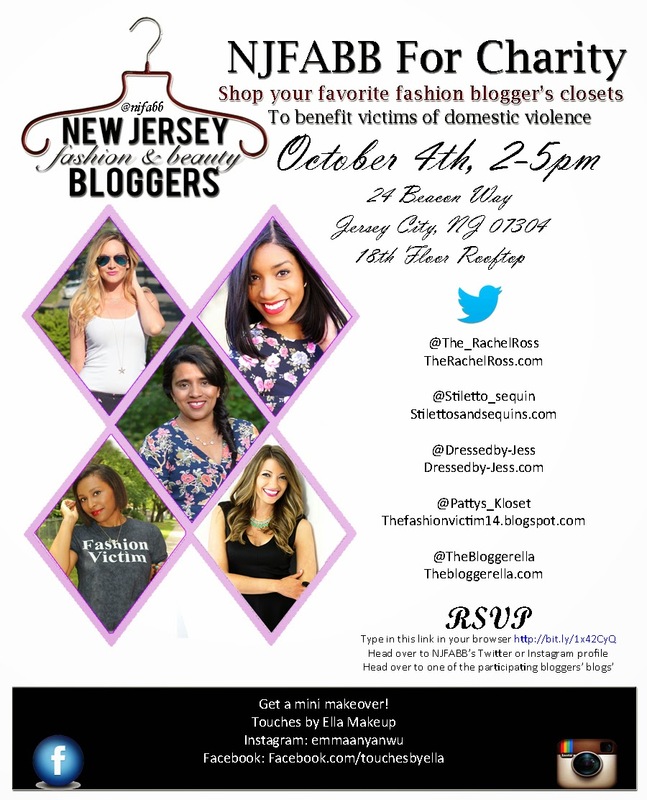 I'm very excited to share that I will be co-hosting NJFABB's fashion blogger closet event with a group of very talented ladies. Join us on October 4th in Jersey City at 2:00pm. You can shop our closets, sip champagne, and even receive mini makeovers! A portion of all proceeds will be donated to victims of domestic abuse. Please help us spread the LOVE! I would love to see you there! You can RSVP by clicking here. Beautiful ensemble! Black and yellow look good on you! I love the ear cuff; definetely a statement piece. I LOOOOOVE this outfit. Simple and adorable. Love that pretty amber color!!! Have fun at your event love!!! 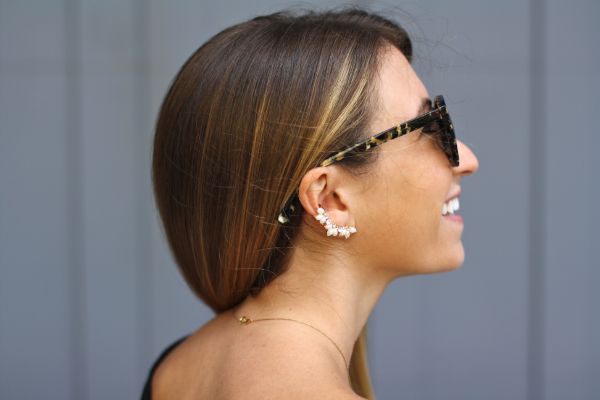 I love how classic this look is, so the ear cuffs are totally right on when worn with the ensemble. Great styling! Awww this is the cutest earcuff i have ever seen, because some are way too big or just not cute, u have impecable taste! I like your ear cuff. I love how classic this look is.